From the Prime Minister's spokesperson on: private sector jobs, pension reform, planning, the Eurozone. Asked to clarify the source of private sector jobs statistics used by the Prime Minister in PMQs, the Prime Minister’s Spokesperson (PMS) said the figures came from ONS data and the Prime Minister was comparing Q1 2010 with Q2 2011. The PMS explained to the assembled media that using Q1 as a baseline was a standard way to compare data and was common practice for Government. The PMS also confirmed that Q1 2010 was the nearest complete quarter to the election. Asked for a response to strike action planned for 30th November, the PMS said that it was clearly disappointing that unions were calling for industrial action. The PMS stated that a large number of meetings had taken place and would continue to take place, and reaffirmed the Government’s commitment to pursuing a constructive dialogue with the unions on pension reform. Put that trust in the talks had broken down, the PMS replied that Lord Hutton and the Chancellor had set out the parameters for reform and the need to make savings. The PMS explained that there were different ways to implement changes, but said that choices had to be made and that was what the talks were focussed on. Asked if the Prime Minister’s choice of language in PMQs indicated a change in planning reform, the PMS said that was not the case and that the Prime Minister was confirming that the new plans would continue to protect the Green Belt. 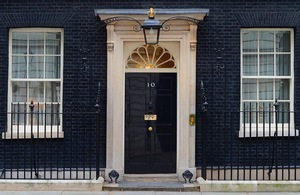 Put that the National Trust were seeking assurances, the PMS said the government consultation set out the policy and included details on environmental protection measures. The PMS went on to say that, as is customary, the department in charge of the policy was leading on the consultation and hosting meetings with interested parties. Asked if the Prime Minister agreed with President Obama’s comments when he said that it was time to show leadership in the Eurozone, the PMS said countries who had problems with debt should deal with those problems and stick to their plans. The PMS said that France, Germany and Greece were holding discussions today about the situation. Asked how concerned Government was about the Eurozone and whether the Treasury was drawing up contingency plans, the PMS said it was unhelpful to be drawn into speculation and said that any horizon scanning work conducted by the Treasury was standard practice.